The law of unintended consequences often seems to permanently live in the endless masses of pensions small print. 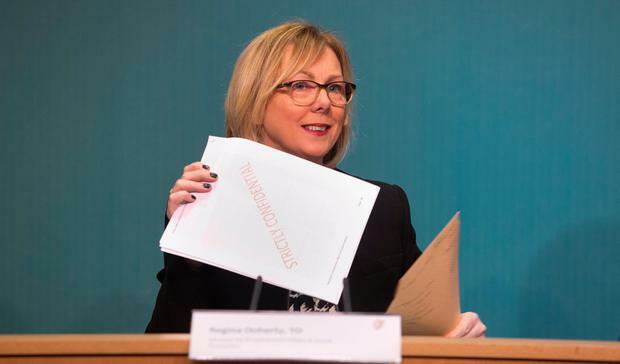 Thus, there was a chance that Social Protection Minister Regina Doherty's efforts to untangle the pensions travesty would either dislodge other difficulties, or not quite hit the target. Fianna Fáil welfare spokesman Willie O'Dea, who has harried the Government for pension remedies over the past six months, has conceded that Ms Doherty's changes "were a step in the right direction." But there are too many unresolved snags - and it may well not be a good deal for men. Mr O'Dea correctly notes that it was a more black and white issue for women following the changes brought in back in 2012. It was easy to understand the double-penalty imposed on women, unable to continue in work due to the notorious marriage bar up to 1973. Or later, in practice, also being obliged to quit work for family reasons due to non-existent child care. Insult was added to injury when their pension was cut due to the 'lost years' dragging down the required average of contributions. The would-be remedies outlined this week by Ms Doherty may well have been driven by the strident women's organisations' campaigns. That is realpolitik and more luck to the women. But more than one in three of those affected are men unable for less obvious reasons to meet the average contribution requirements. They could have been in non-insured employment or working overseas, or absent for other reasons. The men will not have a home-caring scheme to help them account for those missing years. They may not meet the criteria under the new scheme which counts total contribution levels. Mr O'Dea fears that many men may not - and it is not clear what happens then. It is not the only potential snag identified by politicians and advocacy groups. Perhaps these are mere details which require better explanation. But they also may not be any such thing.